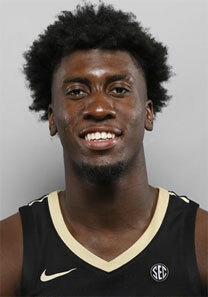 Simi Shittu has finished his freshman season at Vanderbilt after a well decorated high school career across North America. Shittu has offcially declared for the NBA Draft and will hire an agent with no intention of pulling his name out. At the end of April he’ll head to Arizona for training to get ready for League workouts. 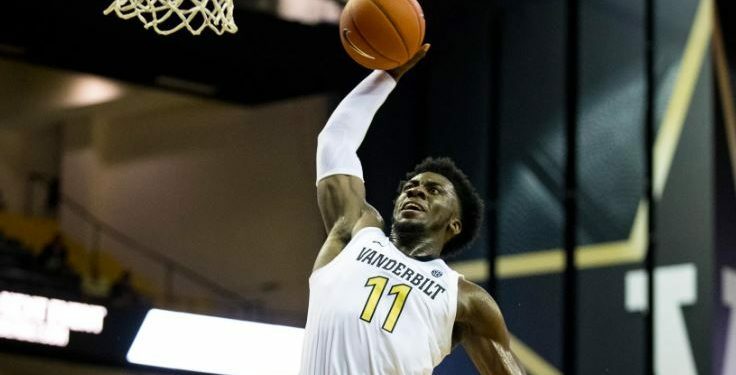 While Vanderbilt had a rough season throughout 2018-2019 with the injury big plaguing the team, and the Commodores going a win-less 0-18 season in conference play; he is in high spirits after dealing with adversity in his young career. Shittu started ended the season averaging a team high 7 rebounds per game to go with 11 points per contest. This is what has made Shittu attractive as an NBA prospect over the years. He is getting his burst back and learning to trust his steps again. Admittedly, coming back from his ACL injury last winter played tricks with his mind. He’s now getting back to the five star prospect that scouts saw at the NPBA Top 100 camp, All-American camps and elsewhere. This is something that stuck with Shittu and is the reason he is not paying any attention to the noise from naysayers on social media. Simi Shittu was the 2nd overall prospect in the Canadian 2018 class for North Pole Hoops national player rankings. We expect several others from the class to declare soon. This Is terrible news, how are people close to Simi not advising him to return to school? He is not ready, needs another year to develop. There is a strong possibility he goes undrafted, very disappointing.